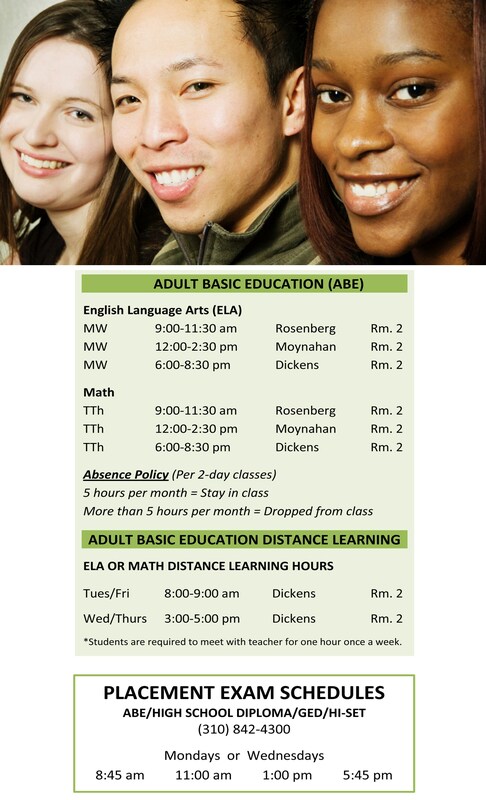 The Adult Basic Education (ABE) program is for adults who want to improve their skills in reading, writing, and math skills to pre-high school level. English Language Arts and Math classes are offered morning, afternoon, and evening throughout the week. Call to schedule your placement test and then make an appointment with our counselor.